1-to-1 Hypnobirthing course in your own home for the price of the group sessions. Total price £120 for a four week course, two hours per session and with full after care support until you have your baby. A saving of £60. Have a friend/family member that is pregnant, why not share the costs? Payment can be weekly or in one payment, payment plans are also available. Check out the website for some of the content of the course – www.relaxnbirth.co.uk. 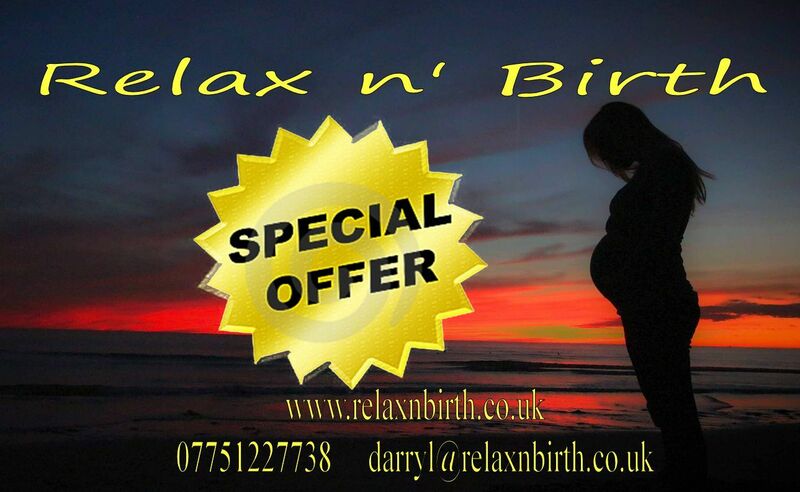 If interested and would like a free no-obligation consultation to discuss the course, contact Darryl on 07751227738, or email darryl@relaxnbirth.co.uk, or PM through the Relax n’ Birth Facebook page. Maximum travel mileage from Bangor of twenty miles.